Profitez du meilleur des deux mondes dans notre condo en bord de mer, récemment redécoré. Vous êtes directement en face d'une belle plage de non-entraînement. Et pourtant, vous êtes seulement une courte distance en voiture des attractions, des boutiques et l'excitation de Daytona Beach. Vous êtes également facilement accessibles en voiture de Saint-historique Augustin, Disney World et Epcot. Dégustez votre café du matin sur le balcon, en regardant les dauphins et les vols de pélicans passent. Profitez de longues promenades sur la plage sans route calme et paisible. Very nice condo...everything you need is there. Very quiet, very safe, very clean. More than enough supplies to get you started for settling into a cozy vacation. The location was excellent for those who enjoy quiet peaceful relaxation on the beach which is less than a block away. The veiw of the ocean from the condo is great. I would definitely reserve this condo for future vacations. Next visit we will leave our board games and dvd's at home because there were plenty to choose from made available by the owner. Beautiful and clean condo right on the ocean! The location was perfect! 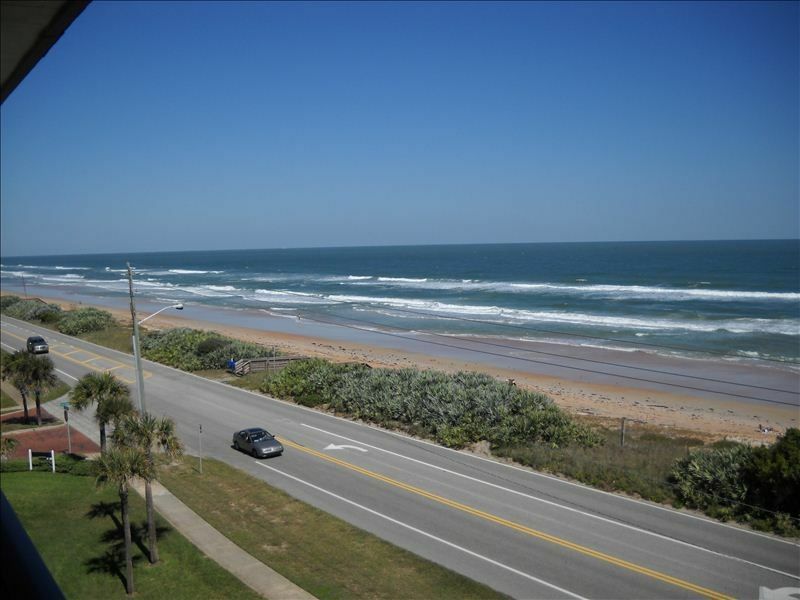 Close enough to Daytona enjoy bike week without all the commotion! The Fox’s were very responsive to all of our messages and requests! My husband and I had a great time. The place was everything you could want. Just sitting on the balcony and watching and listening to the ocean was fantastic. I would rent again. The condo was even better than we had anticipated. We had a wonderful week at the beach. We are grateful to the Fox family for sharing their lovely place. It was clean, organized, and had everything we could possibly need. Really nice up to date condo. Enjoyed the nice view and our stay. Would stay again. Monthly rate: For rental purposes, a month is considered to be any four consecutive weeks.